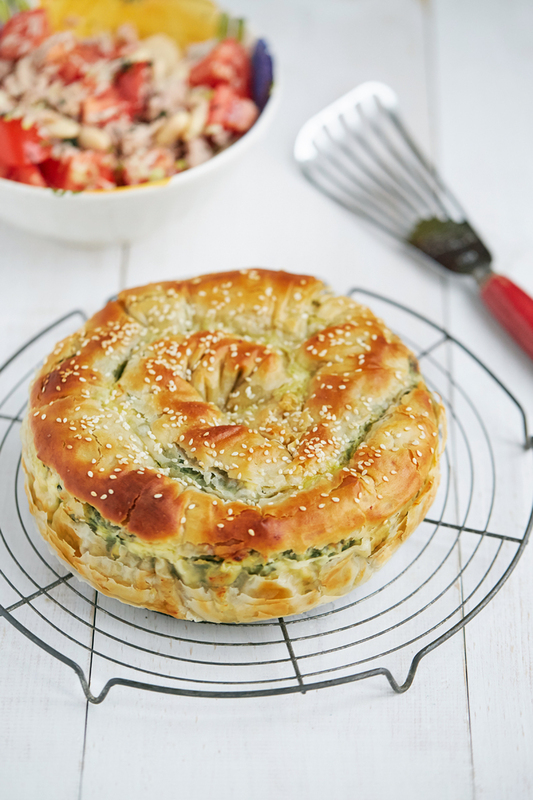 Many months ago my friend Charlotte requested Spanakopita (Greek spinach and feta pie) for a blog post and finally the weather and veg box glut of spinach have aligned and her wish has come true. A while ago I saw a great post for Spanakopita on one of my favourite blogs Souvlaki for the Soul and mentally stored it away for later. I have cheated by buying filo pastry and also wilting the spinach in a pan.